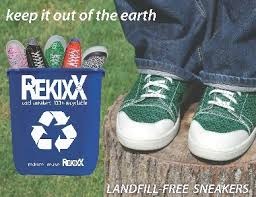 I know the Shark Tank loves featuring Young Entrepreneurs on the Show, and for good reason. It's always inspiring and really motivating seeing our future business leaders already making a name at such an early age. Some of these aspiring entrepreneurs have come up with some really cool inventions that helped propel them to the Best Business Reality TV Show in History. While others seem like they have this natural gift that you just can't help but buy whatever they're selling. 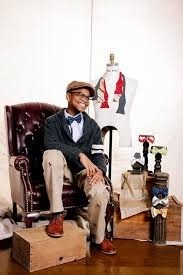 In this episode #522 will feature the next "Shark Tank Super Star" by the name of Moziah Bridges, from Memphis, Tennessee and inventor of the Moe's Bows Ties. While doing a little research on Moe's Bows before the Show, I happened to go to You-Tube like I do for all Shark Tank Contestants. The first thing you'll notice about this now 12 year old entrepreneur, is Moziah has already received an enormous amount of air time on several major TV shows including the Today Show and several News Channels. I watched the first video and then couldn't help but continue watching more of Moziah and his Moe's Bows Ties. This dedicated entrepreneur was extremely entertaining in every single interview, and had zero problems winning the crowd over every single time. 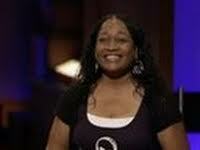 My favorite is when Moziah was on the Steve Harvey Show and sold him one of his hand-made ties. The Moe's Bows has also been featured in major magazines including Oprah Magazine, and an article in Forbes Magazine when Moziah was only 11 years old. In that article, he goes in detail how he first got into the tie making business, and what this aspiring young entrepreneur already has planned for his future. Bridges also have three very important mentors he highly respects and very successful in the designing industry. The first one is Ralph Lauren who also sold hand-made ties at the age of 10. Tommy Hilfiger is not only a mentor figure that Moziah looks up to, He also happens to be a big fan and a customer of Moe's Bows. The third famous designer Moziah highly respects is none other than Daymond John, who just so happens to be in this episode of the Shark Tank Show. Yes, no doubt about it, the Sharks are going to have their hands full when Moziah Bridges enters the Shark Tank. After seeing how convincing Moziah has been on numerous interviews already under his belt, this young professional really does have the opportunity to make Moe's Bows a Major Shark Tank Success Story. Now as far as Moe's Bows getting a deal on the Shark Tank, Hm, could it really be that obvious? We already know Moziah is a big fan of Daymond John who is already very successful in the Designing Industry and could certainly help expand the Moe's Bows product line. I had to dig a little deeper and see if Moziah ever mentioned Daymond John before he tried out for the Shark Tank, and yes he has always looked up to Daymond. 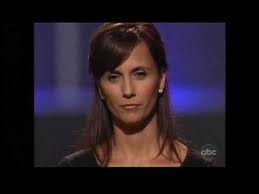 So again I ask, could this possibly be the most obvious pre-Shark Tank Show prediction? LOL, one thing I have learned after watching every single episode of the Shark Tank ever made, things get a lot more complicated when they seem so obvious. John may seem like the obvious investor with a product he knows a lot about, but this is the Shark Tank, and I think at least a few other Shark's will also be interested in taking the Moe's Bows to the next level. Deal or no deal, Moziah and his Parents are throwing a Shark Tank Party which is always a good thing to see. If you happen to be in Memphis this Friday night April 25, stop by the Schwab General Store on Beale St. around 7 p.m. for a chance to meet our newest Shark Tank Star.